One of the beautiful things we have discovered about marriage is that the simple habits we create are what build the foundation for the lasting legacy we leave behind. In our 20+ years of being together, we have watched many marriages fall by the wayside. And the majority of these marriages were built on false realities and unspoken (worldly) expectations. 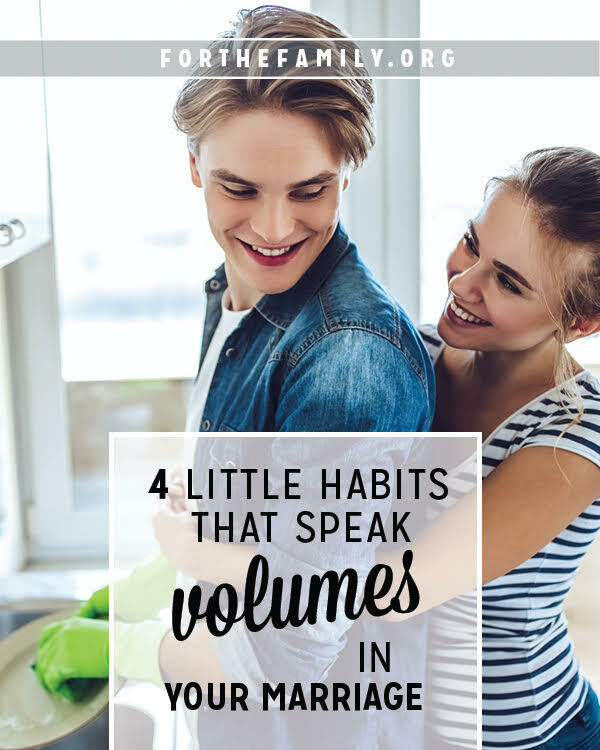 Today we are going to share with you 4 small habits that create the foundation for a life-long marriage. It is important that we never stop doing the little things as these little habits are the lifeblood of a lasting Christ-focused marriage. 1. The habit of praying together. The daily habit of praying together has been an absolute game-changer in our marriage. Praying alone is a very powerful weapon against the enemy, but praying together is even more effective. By disciplining ourselves with the habit of praying together we have been able to cultivate a rock-solid marriage these past 18 years. Need some prayers to help you get started? Check out these 5 prayers for a stronger marriage. 2. The habit of prioritizing quality time. Quality time is something we find many couples allow to slip away. And this is a very dangerous, slippery slope. The habit of prioritizing quality time with your spouse is crucial to having a fulfilling, lifelong marriage. If you are in need of help when it comes to reclaiming solid quality time with your spouse, check out the 25 Minutes to a Better Marriage challenge. This will get you and your spouse back on the right track to spending quality, focused time together. 3. The habit of saying “I love you”. The simple act of saying I love you in both word and deed go a long way in your marriage. If you aren’t already doing so, be sure to say “I love you” to your spouse every chance you get. Our favorite times to tell one another that we love each other are when we wake up, random times throughout the day, and of course at night before we close our eyes and go to sleep. Saying “I love you” is something that can also be shown through our actions. Check out these 51 ways to say I love you for some fresh ideas and inspiration. By making this a habit in your marriage you will be cementing your marriage bond and make your spouse feel loved. 4. The habit of choosing kindness. Being kind to our spouse is such a simple way to show them we care. The habit of choosing kindness costs us nothing but allows us to demonstrate the love and grace of Christ. While being kind isn’t always easy in every circumstance, if you discipline yourselves to choose kindness over unkindness, your marriage will flourish as a result.